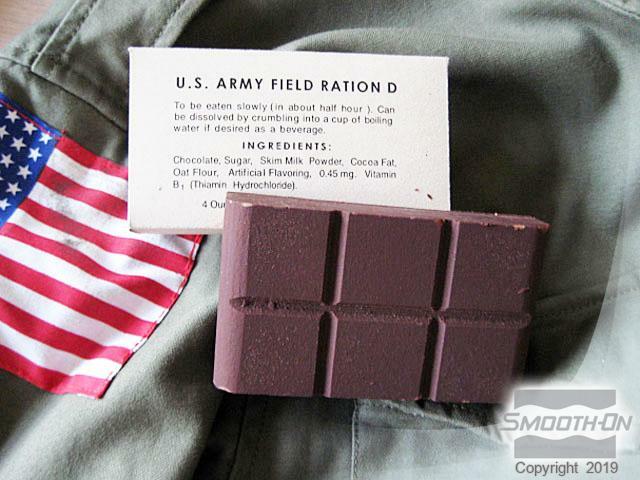 Lawrence Kelatow, a military re-enactor, creates edible WW2 D-Ration bars using Smooth-Sil 940 food-safe silicone. 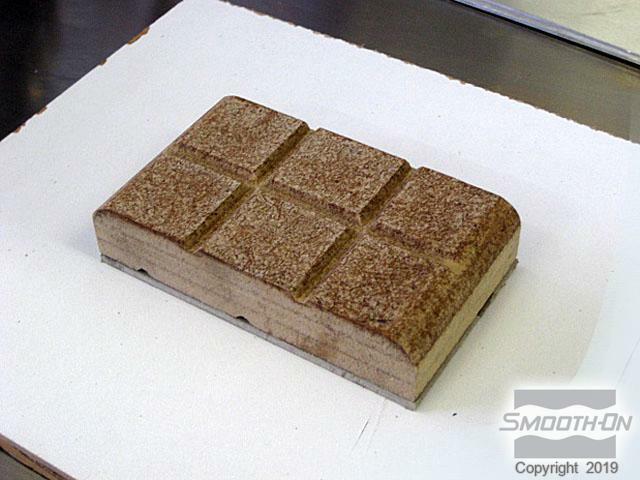 A wood model is made and molded using Smooth-Sil 940. 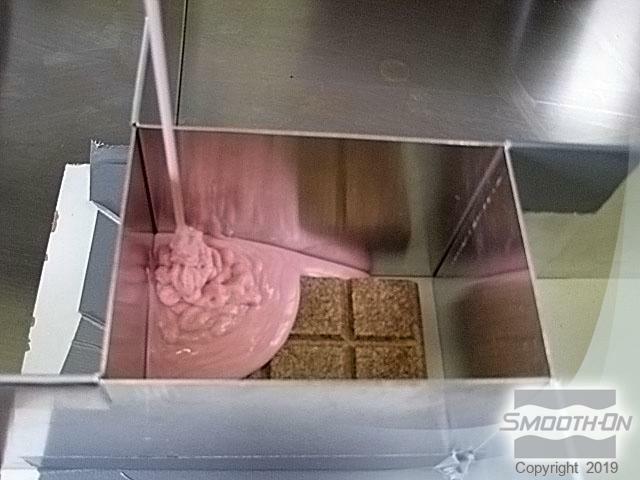 After the mold is thoroughly post-cured and washed according to the techincal bulletin, milk chocolate is melted and poured into the mold. "What always catches my attention when I look at old photos of airborne troopers who have spread out their gear for inspection, is that there are always a couple of D-Rations between all the equipment and weapons. What where those D-Rations? According to the QMC a bar that is able to sustain a soldier for one meal with enough calories (600) to survive. 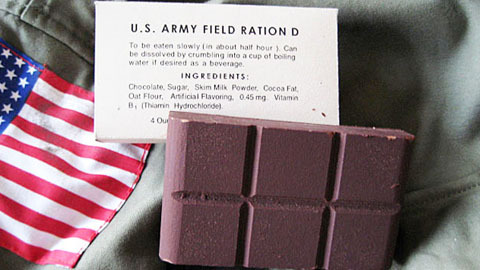 Thought up by Col. Paul Logan in 1937 the D-Ration was comprised of chocolate, sugar, skimmed milk powder, cocoa butter, vanilla essence, oat meal and vitamin B1. The logic behind it was that it had to taste slightly better than a potato or a soldier might eat it as a snack before he would actually need it in an emergency. Sounds good to me! In this instance I have decided to use “normal” chocolate – although I already purchased or localized all products needed and have the original recipe – it is easier to obtain." The original model is made out of carved wood that is sealed with clear acrylic spray. 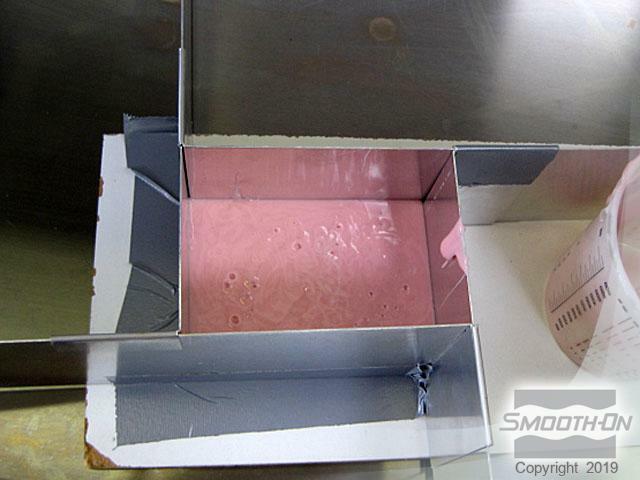 A mold box is then created using metal flashing. 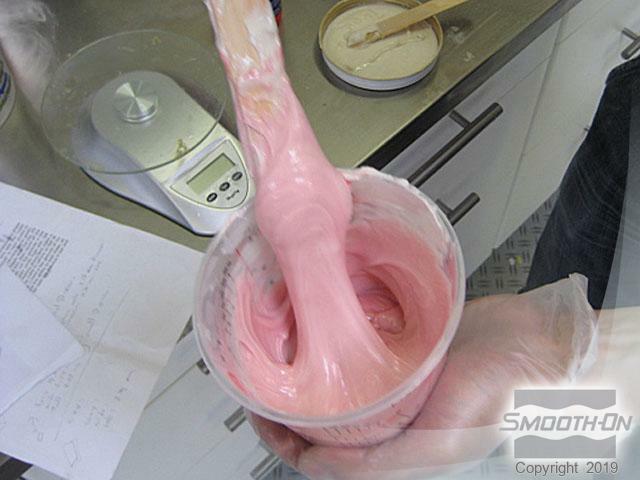 Smooth-Sil 940 is a 100:10 by weight mix ratio material. 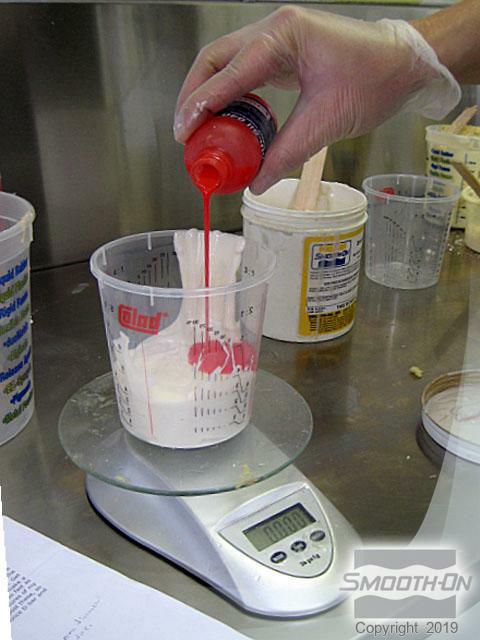 Part A of the silicone is weighed. 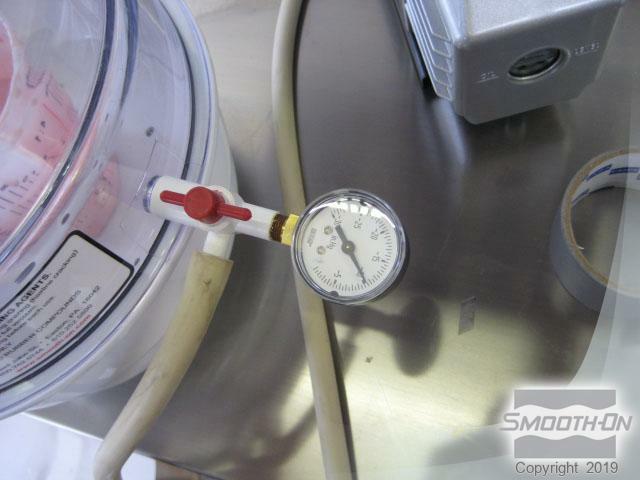 Then part B of the Smooth-Sil is weighed out as well. The material is mixed thoroughly. 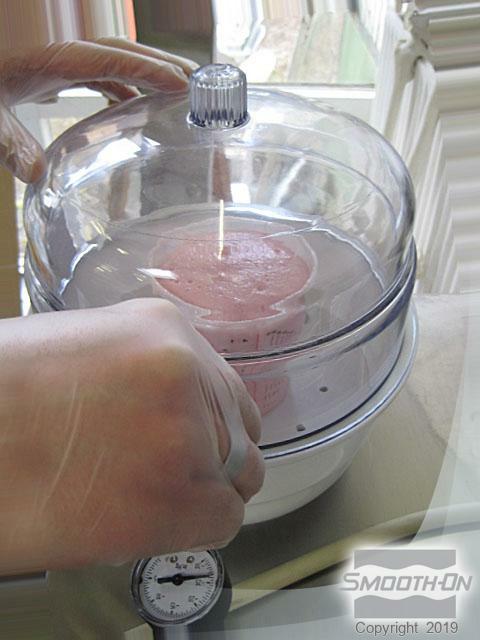 Once an even mix is achieved, the material can be vacuumed. 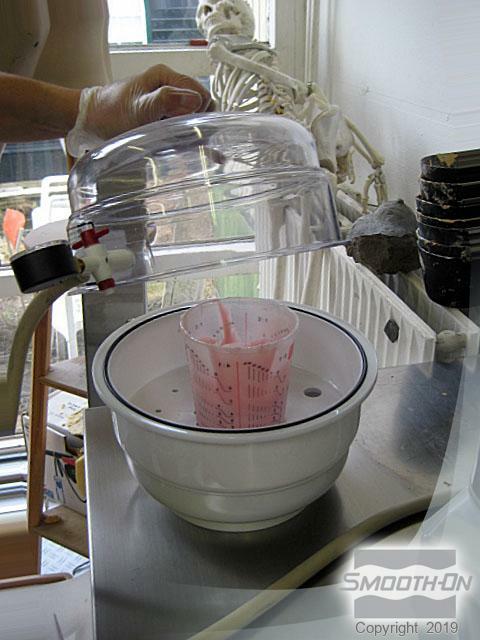 The material is placed into a vacuum chamber and vacuumed until a level of 29 inches of mercury is achieved using a pump. The air in the material escapes as the material is vacuumed. 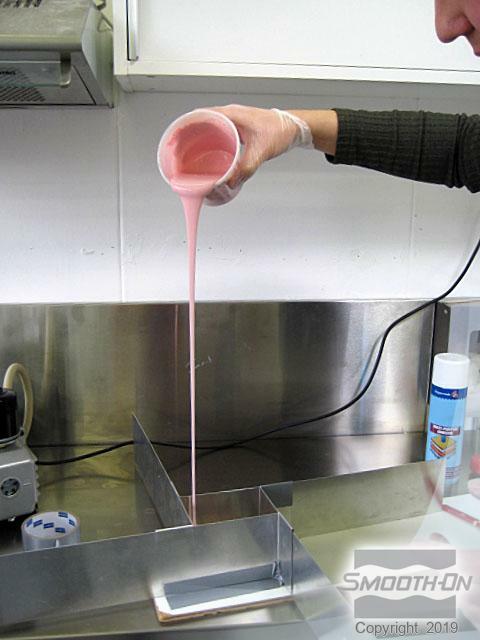 The material is poured in a thin stream into the mold box until the silicone flows up and over the model. 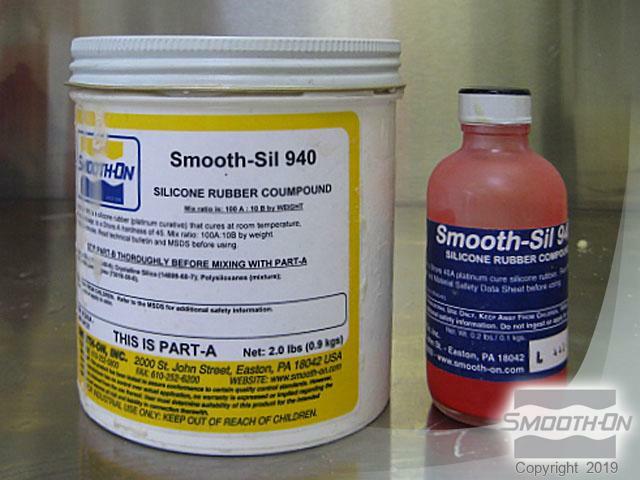 Smooth-Sil 940 is fully cured in 24 hours. 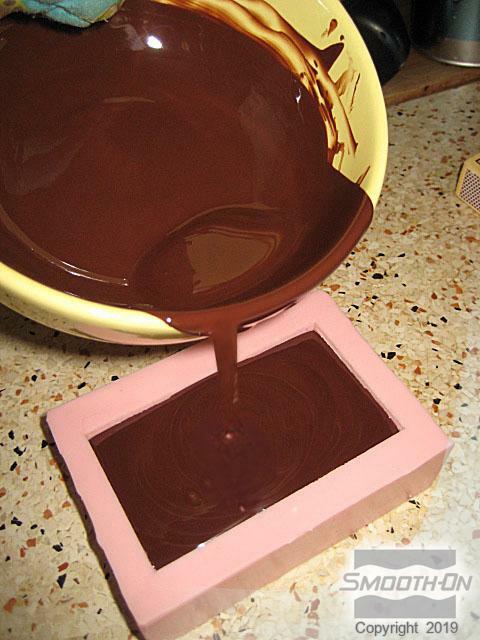 After the mold is post cured and washed, chocolate is readied to pour into the silicone mold. 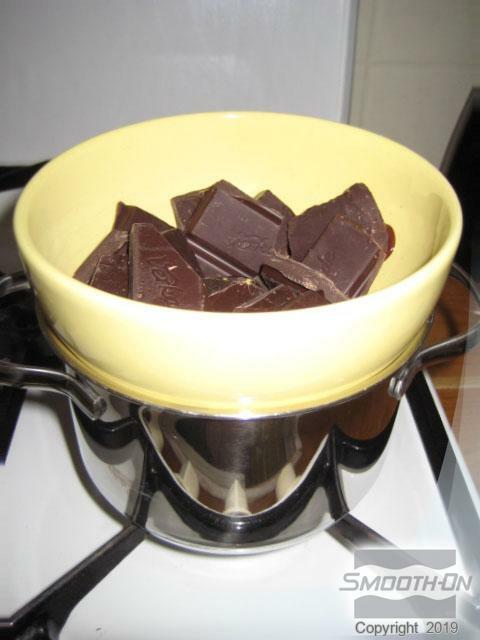 The chocolate is broken into small pieces and melted in a double boiler. 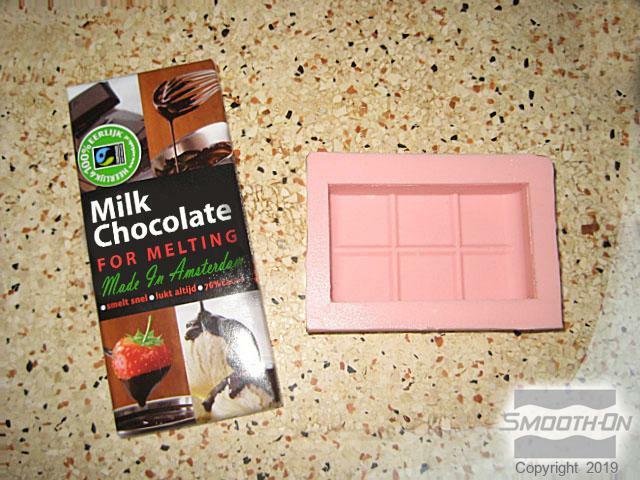 The melted chocolate is slowly poured into the mold. 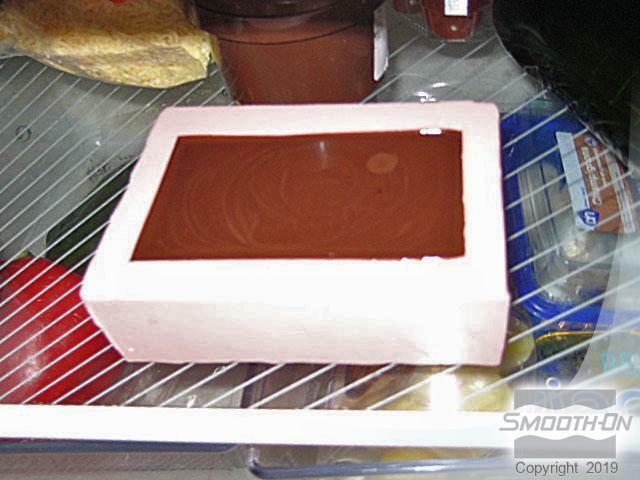 The mold is placed in a refrigerator until the chocolate cools and solidifies. 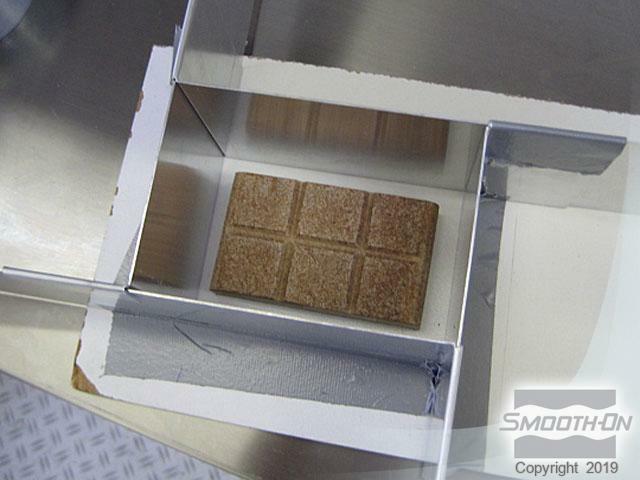 The finished bar is an exact duplicate of an edible WW2 D-ration bar.